Woodcarving courses at Sacrewell are aimed to provide the student with a greater understanding of the technical aspects involved in the craft, as well as the time and freedom to practice them. The workshop is in the Sacrewell Barn. It houses over 300 gouges and chisels, a variety of mallets and other hand tools. The band saw and pillar drill help with the removal of waste wood. The facilities include a wide range of reference books, use of a digital camera and printer copier. With the aid of this equipment, students with or without good drafting or drawing skills can easily produce designs for woodcarving projects. 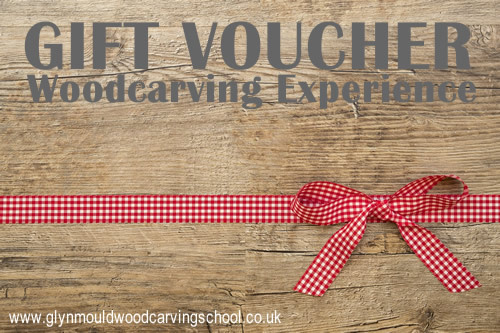 The Carving Courses are open to anybody who has a love of wood; you do not need to be artistic to be able to carve, but enthusiasm is an essential. You will receive all the support and equipment necessary to complete a piece of work to your own satisfaction. Glyn Mould has been a professional carver for over 35 years. He has been teaching the subject since 1984. His own work can be found in the Palace of Westminster and the United Kingdom Supreme Court and Ely Cathedral. A Political seat featured on the Antiques Roadshow and a carved gift for the Lord Mayor of London. Glyn will be happy to arrange tailor-made classes for groups or individuals. This provides an excellent opportunity for businesses to organise a very cost-effective, popular and appealing team building exercise for their staff.